Quotes by "Pope Benedict XVI"
Pope Benedict XVI, (born Joseph Aloisius Ratzinger, 16 April 1927) served as Pope from 2005 until his resignation in 2013, the successor of Pope John Paul II and predecessor of Pope Francis. 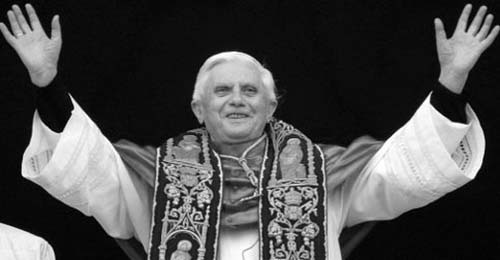 Ordained a priest in 1951 in his native Bavaria, Ratzinger served as a highly regarded university theologian. He was appointed Archbishop of Munich and Freising and Cardinal by Pope Paul VI in 1977. In 1981, he was appointed Prefect of the Congregation for the Doctrine of the Faith under the papacy of John Paul II.